Everyday millions of travellers try getting confirmed train ticket for their travel. But more than half of them have to stay contended with RAC or, worst still, a waitlist ticket. Everyone who travels knows about the tensions associated with a waitlist PNR status. You are always dwindling between – “to be or not to be”(will travel or will not travel). And during these tensed times, there are many relevant questions that crop up in your mind. 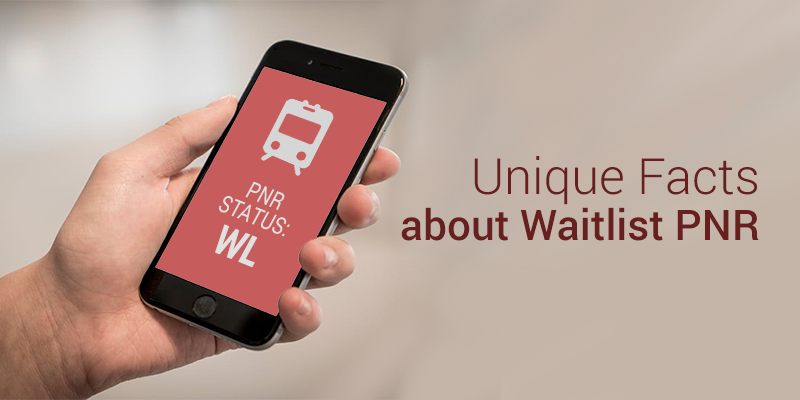 Today, we would deal with some such train ticket confirmation questions and help you understand the journey of a PNR status from waitlist to confirmation. Is the waitlist status updated every day? Yes, it is updated every day. Whether or not the changes in status are reflected in real-time is a matter that has been up for debate among many rail fans and experts. But, if there is a single cancellation, then your waitlist status should move one place up at the end of the day (mostly a few hours after the cancellation updated in the database). 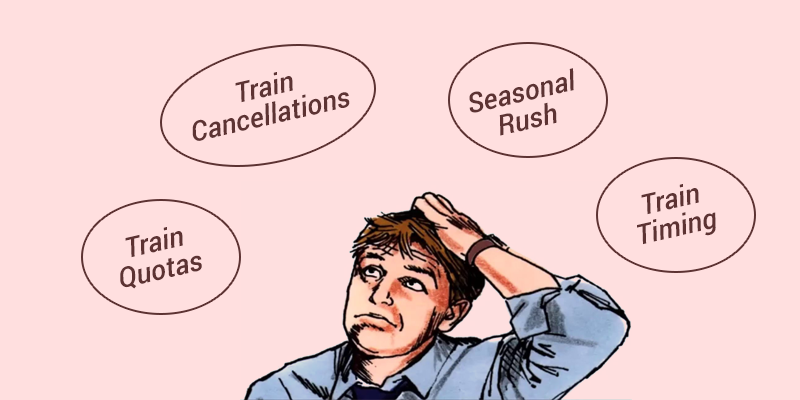 What are the factors that contribute to PNR confirmation probability of a waitlist ticket? Train Timing: Statistics show that trains that depart from their source station between 5-9 PM are very popular among the travelers. It helps people complete their official duties before taking the journey. It also means (for shorter journeys) that the travelers can use their sleeping hours for the journey. Waitlist PNRs really struggle to move towards confirmation in such ideally timed trains. Seasonal Rush: In India you have to always account for the festivals in every walk of life and train journeys are no exception. If there is a festival rush in your route, than the chances of confirmation become really low as most confirmed ticket holders, book tickets with the real travel intent and are very unlikely to cancel. Quotas: There are specific seats kept earmarked under the VIP, Foreign, Handicapped and Patient’s quota. Mostly such seats go empty and the Railways releases them at the last moment to uplift your waitlist status. But there are certain times when all such train quota seats may be filled. Though such an instance is exceptional, but it may happen. Accidents, Natural Calamities or Train Cancellations: If there is a particular problem along the route which has led to the scarcity of trains, then the waitlist system can go for a toss. 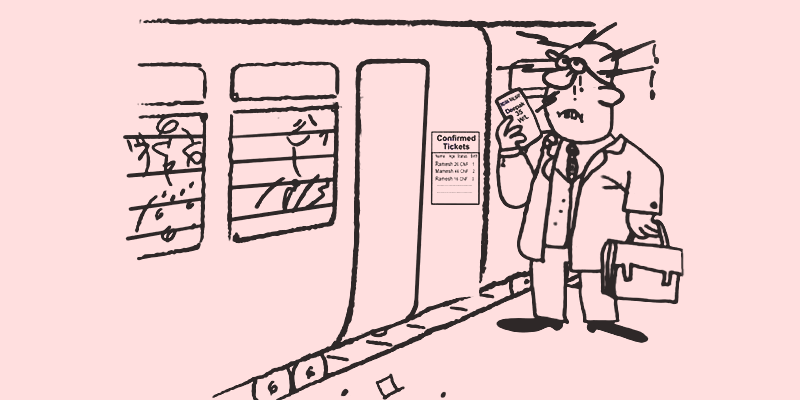 In such circumstances, the confirmed ticket holders from other trains are accommodated in your chosen train. And your waitlist is automatically cancelled. As these factors cannot be predicted, so you have to just wish that a predicament such as these do not befall close to your journey date. Why is movement in the waitlist queue so slow in the initial days? 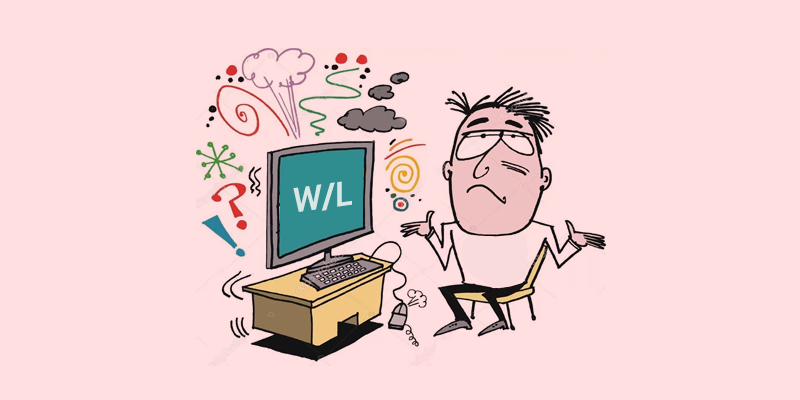 You are one of the unlucky travelers who has fallen just a bit short of the 120 days advance ticket booking window. For example, you might have booked the ticket 115 days in advance and due to the rush you have been handed a waitlist ticket (within WL 1-10). But you are confident that the ticket will be confirmed within a week. So, you keep checking for the PNR status update every day. A week passes and you see no improvement in the status. Do not panic in such instances! Such a trend is very common. The activity levels (or movement) within the waitlist queue remains stationary in the first few months. There would be many confirmed ticket holders who have made speculative bookings (with a slim hope of making the end journey), the quota seats are still set aside and unless you are in a third choice train (the trains which travelers only opt as a last resort) you will not witness many cancellations within the first few weeks. When does movement in the waitlist queue really take-off? First Choice Trains: As the name suggests these are the most popular trains on any particular route. They are fast, timely and have least stoppages en-route. Premium trains such as Shatabdi, Rajdhani, Duronto or other well-known trains fall into this category. Some trains might fall in this list due to their convenient departure timings. You would start seeing some activity in the waitlist status for such trains only as late as a week before the journey. Confirmed ticket holders just do not want to let go of their tickets and you should stay positive. Waitlist tickets do get confirmed at the last minute. Second Choice Trains: When the passengers do not get confirmed berths in the First Choice trains, they often turn to this group of trains. They are mediocre in performance, may or may not be timely and have more stoppages then first choice trains (but less than the third choice trains). Movement in the waitlist status for such trains can be witnessed from 1 month before the journey. But there would be a trickling effect. You may still have to wait till the last week to see any major change in PNR status. Third Choice Trains: The travelers will turn to these trains only when they have no other option. Such trains are slow moving, have a high number of stoppages and mostly turn up late at their destination station. The waitlist queue activity remains at its maximum for such trains. As these are mostly back-up plans, where the traveler has already made some other arrangements for the journey, so the cancellations for this group of trains remains highest. You can expect high waitlist movement from 2 months ahead of the journey date, onwards. Why is waitlist activity so high in the last week before journey? Well, 120 days is a long time and many things might happen in the life of a traveler in between. Most travelers set aside the thought of their future travel, until it is about a week to go. Most take a final call within the last 15 days. There is also a psychological angle (instigated by Indian Railways refund policy) to this trend. As per the refund policy, you can get complete refund (with the subtraction of cancellation charges) till 48 hours before the scheduled departure of the train. If you cancel after that then the refund amount gets lower. So, whether you cancel about a month before or within 48 before the scheduled departure of the train, you will get the same refund amount. The confirmed ticket holders like to use this luxury and opt for late cancellations. This is why the activity levels within 2-5 days before the journey date really escalates. What is the deadline for PNR confirmation? The movement of waitlist queue stops after the Final Chart is prepared which is usually done about 3-4 hours before the departure of the train. All the waitlist tickets booked online (which have not progressed to RAC) are automatically cancelled and refunds are credited to the passenger’s account. Hope we have been able to shed light on some of the unknown areas of waitlist queue. If you have any other questions in this regard, please do write back to us. Previous article4 Train Concessions you never knew about! I booked the tickets of 3rd ac . Is there any chances for tickets to getting confirm? 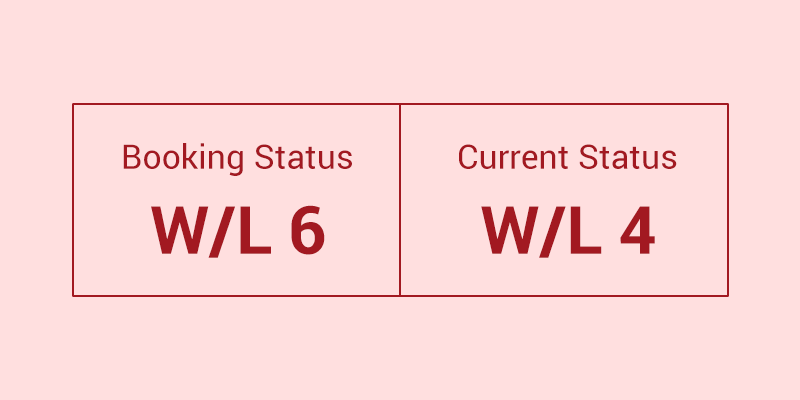 You can use our tool to judge the Confirmation Probability of your ticket. Just paste your PNR number here: https://www.railyatri.in/pnr-status. Chart prepared yesterday, but there was showing WL 17. This was online booked ticket. As per rail yatri information, this type of ticket gets cancel automatic and passengers get refund. Now i am not going to travel anywhere, will travel by next month. Problem, what about the status still showing WL 17 in rail yatri app. How will i get refund, if i didn’t travel on above mention PNR and train. No either on Confirm or RAC not on waiting list ticket. It gets cancelled once the chart is done and you will be considered a WT(without ticket) traveller. New Delhi to GAYA City. DOJ is 12-3-2019 what are the chances of it being confirmed?